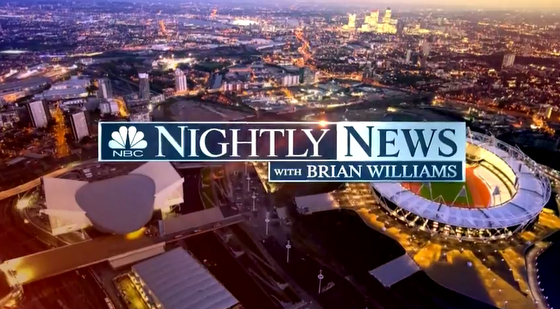 For its two weeks in London in conjunction with its parent network’s coverage of the London 2012 Olympics, “NBC Nightly News” has been using a modified version of its standard open. The design is a modified version of the open the broadcast debuted in February, which features a nighttime view of the world and bold, colorized images of New York City and Rockefeller Center contained in squares. 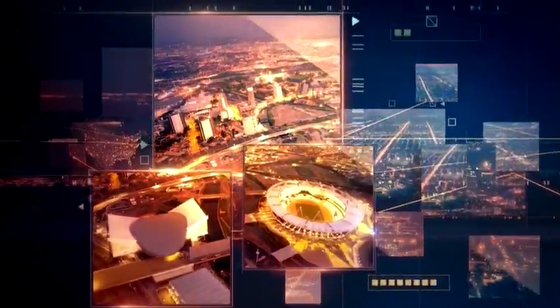 For its time in London, the open transitions from the world map to a colorized view of the the London skyline, with a focus on the major Olympics venues. The imagery has been heavily enhanced and colorized to take on the deep blueish-purple and gold and oranges of the standard “Nightly” open. The London animation also makes heavy use of the square design elements, but also adds the London 2012 games logo as a transitional wipe. Overall, this open does a great job of combining the existing “Nightly News” look with the location specific imagery of London. Meanwhile, the “Nightly News” set in London is much less impressive. 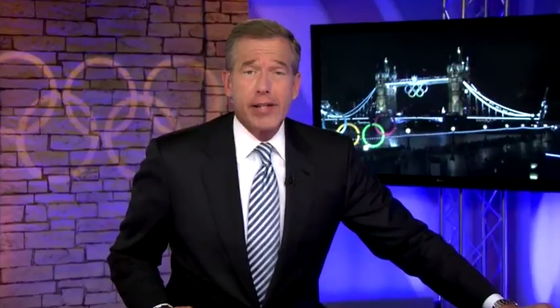 For most of the broadcast, anchor Brian Williams is seen in front of a faux stone wall with the Olympic rings gobo’d on it. That wall is uplit with sharp, dramatic blue lights that give it an almost radioactive or black light look. To the right of this wall is a blue printed graphic fronted with a flat screen mounted on a metallic truss, similar to what is used for light rigging. Unfortunately, the result is a set looks a bit haphazard and thrown together, almost as if the location was a last minute decision. But it’s not, having appeared before the Olympics. Williams has also anchored from London landmarks, but with unpredictable weather, a dedicated set is also a must. Unfortunately, this set seems like it’s tucked into a closet.